Since it was announced that the Central Bank of Nigeria (CBN) under Mallam Sanusi Lamido Sanusi was going to start issuing licenses for Islamic banking, there has hardly been anybody more vocal and aggressive in their opposition to it than the current President of the Christian Association of Nigeria (CAN) and the President and founder of the Word of Life Bible Church Pastor Ayo Oritsejafor. He had ensured that with his comments at several fora the issue was on the lips of virtually every Nigerian, young and old, Christian and Muslim. 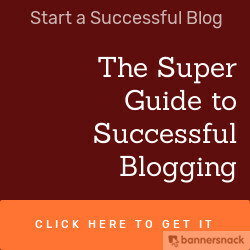 He had accused the Central Bank Governor of using the nation's funds to promote a sectional bank. Despite several attempts by Sanusi Lamido Sanusi to explain that anybody with any other form of non-interest banking is free to apply and obtain a license from the CBN, Pastor Oritsejafor continued his campaign against Islamic banking. “We are not against the Muslims, they are Nigerians and we are all Nigerians. All we are saying is that nobody should be treated like a second class citizen. We are not even against Islamic banking but what we are saying is that it should be the choice of the Muslims. “We are also saying that the CBN Governor (Mallam Lamido Sanusi) cannot spend the nation’s money promoting sectional interests and this we must speak out against it. He cannot be using government money to drive Islamic banking and somebody has to say this. We want peace and we also want justice. According to him, well meaning Nigerians heaved a sigh of relief when all the major news media carried reports that the House of Representatives after its plenary on Tuesday, summoned the CBN governor to explain the apex bank’s stand on Islamic banking and the decision to peg daily cash withdrawal limit by individuals at N150,000 and N1 million for corporate customers effective 2012. 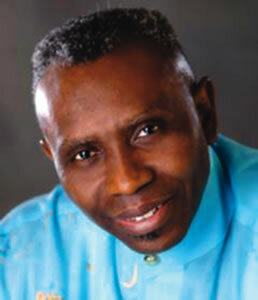 Oritsejafor further argued that “the Christian community in Nigeria which has been kept in the dark all along over CBN’s quest for an Islamic bank at the expense of other pressing economic issues has raised eyebrows over the workability of the policy which appears to be another attempt to Islamise the nation. “That was why we were happy at the cheery news of the House of Representatives’ invitation to the CBN governor to explain his role in the controversial Islamic bank. “But we were shocked that the honourable members did not even ask the Islamic scholar any questions apparently because he used the occasion to bamboozle them. Instead, what we witnessed was a blanket endorsement of the policy. The pastor goofed when he said Arabic has been re-introduced on our Naira notes by Sanusi Lamido Sanusi. However, the most shocking revelation is that Pastor Ayo Oritsejafor is actually behind Eagle Flight Microfinance. This is an institution that seeks to bring ‘you the future in Microfinace banking.’ The beginning of the bank's Chairman's Statement on its website states: "Eagle flight Micro-finance which is an innate desire and dream of the President and founder of the Word of Life Bible Church Pastor Ayo Oritsejafor. As a servant of God it has been his prayers, to be able to minister not only to the Spiritual aspects of human existence but also to be able to attend to the Physical and Economical well being of Souls." The Chairman of Eagle Finance Microfinance is actually Pastor Helen Oritsejafor, wife of Pastor Ayo Oritsejafor. It is quite a very cosy family affair. The husband eliminates the competition (Islamic banking) and the wife takes advantage through the family business (Eagle Flight Microfinance). Now, there is nothing wrong for a pastor to own or promote a bank as a free citizen of Nigeria. However, it is highly irresponsible and shameful for a religious leader not to disclose to the world that he is going to be a major beneficiary if Islamic banking does not materialize in Nigeria. In addition, several people have noted that some of the comments about Islamic banking that the pastor had made in the past were heating the polity and could cause violence. Thank God they did not lead to violence only increased blood pressure for some people but if people had died, would they not of have died just because a businessman disguising as a religious leader wants to protect his private business interest? May God deliver the good people of this country from the manipulations and schemes of people like this: did I hear you say a big Amen?